The desire to create cosmetics at home has exponentially risen. Although some homemade goods won’t save you money they may be the key to living a long, healthy life. It is nearly impossible to trace exactly how your favorite brand formulates their products since ingredient labels are rarely honest. This hidden information is essential to our well-being and companies refuse to share this information because it may change the way people view the cosmetic industry. Beauty products can be full of toxic ingredients and if you’ve had unexplainable health issues may very well be the cause. Forget about covering every bruise, bump, or blemish and focus on long term effects of using cosmetics, what you discover may be shocking. If you’ve been having trouble conceiving don’t be so quick to spend a fortune on a fertility specialist. Conception issues can also be caused by the use of cosmetics. One of the skin’s most important functions is absorption in which oxygen, water, and certain ingredients are able to penetrate. The skin can choose which ingredients it wants to absorb but those with a smaller molecular structure can easily enter the hair follicles and oil glands. Absorption is what allows the skin to retain moisture and nourishment but complications can occur depending on chemicals used during production. For example, a study in North Carolina suggest that working as a nail technician is one of the worse jobs for a woman. When you are a nail tech your skin constantly absorbs formaldehyde, toluene, and dibutyl phthalate these ingredients are toxic and are believed to be the reason why nail salon employees are at risk for spontaneous abortion. Ingredients that effect reproduction can also effect men. Lead, which is found in sunscreen and whitening toothpaste can reduce fertility. As if processed foods and good ol’ barbecue don’t contain enough carcinogens you may also find them in your favorite foundation. A carcinogen is an ingredient that has the ability to create cancer in the body. 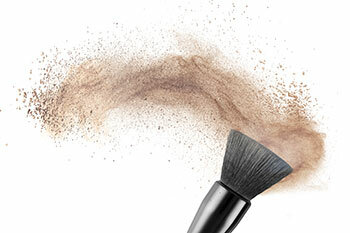 Believe it or not most cosmetic brands use carcinogens to create their products. Cancer is the killer of over 2000 people per day so avoiding carcinogens is crucial. Using these types of ingredients can lead to cell mutation and possible growth of a tumor. Not everyone’s body reacts the same to carcinogens and just because you have been exposed doesn’t mean you will get cancer. Your body heals itself quite well so if these mutated genes are repaired your risk is reduced but if your body can’t repair itself rapidly enough, issues can develop. Phthalates, triclosan, and sodium laurneth sulfate are three popular carcinogens found in fragrances, toothpaste, soap, shampoo and many other products. You may be a stickler for expiration dates on the food you put in your body, but what about what you put on it? Just like most things cosmetics have a life expectancy even though it may not be spelled out on the label. After the product expires it becomes less effective and contain thousands of bacteria. Take mascara for example, most women keep their mascara for over a year but should be swapping every 4-6 months. The actual brush is what most likely harbors the bacteria which is why cleaning your makeup brushes and sponges is important. Think about the time you had an eye infection or even a bad case of acne, are you still using the same products you were at that time? If so, this only puts you at risk for a re-occurrence! If you are unsure of when to get rid of a cosmetic item look for the open jar printed on the back label of your product (looks identical to the picture above) .The number represents the number of months it is good for after it has been opened (The picture above would signify 12 months). Hate buying things in glass bottles? Think again, plastics can be detrimental to good health. Just like your water bottle, when plastic packaging is activated by heat it can be harmful. Bottles left in hot temperatures can cause birth defects, cancer, fertility issues and even liver failure. Some products actually use plastic as an ingredient. If you’re wondering how you ponytail stays “fly away free” it’s because plastics are present in both hair sprays and gels. Plastic is also responsible for making your mascara waterproof! On a warm day the sun can make your mascara to run (waterproof or not) and at times causes your hair to fall. Imagine how much of this harmful ingredient has gotten into your eyes or hair follicles! If you like products with an extensive shelf life, chances are you’ve ingested a few parabens. Parabens are preservatives most commonly used in cosmetics. They are synthetic ingredients used to inhibit bacteria growth and extend shelf life but if overexposed can actually shorten your life. Although the Food and Drug Administration claims that parabens are safe up to 25% they are known to cause premature aging, hormonal imbalance, decreased fertility and a malfunctioning endocrine system. There is no better feeling than freshly exfoliated skin but depending on your scrub or peel there could be nothing worse. Many brands use plastic micro beads to assist in effective exfoliation and although the feel good they are very harmful for the environment. Ever wonder what happens to those beads as they go down the drain? Well since they are not naturally able to be broken down and are extremely small they cannot be filtered. This causes them to get into bodies of water effecting our water supply. Underwater creatures can ingest these plastic particles and when it is time to eat them plastic will most likely present itself in our food. As discussed earlier, many cosmetics are sold in plastic containers which aren’t environmentally friendly. If you want to be sure your product will help the earth even after it has been used look for biodegradable packaging. This type of package can be decomposed. Imagine grocery shopping and you needed something tasty to put on a hot dog. You approach the condiments and discover a bottle that reads “Sauce”. Curious to know more you turn the bottle around to read the label and the only ingredient listed is “sauce”, would you buy it? Unfortunately many cosmetic companies get away this tactic since the Food and Drug Administration isn’t as tight on their rules as they should be. If you’ve ever read the back of a cosmetic product, you may see ingredients like fragrance, gluten, or some made up patented complex but where do these things come from? How are they made? A study conducted by Environmental Working Group revealed that in only seventeen popular fragrance products there were 38 unidentified ingredients! 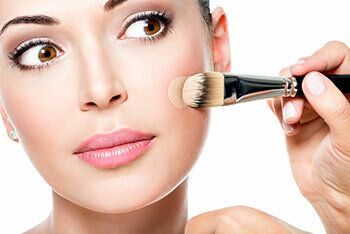 Just like most things full of harmful chemicals and preservatives, cosmetics can be very addicting. Some can’t seem to live without their bright red lipstick or fruity smelling lotion. Today’s lifestyle is all about being as attractive as you can be and cosmetics are one of the quickest ways to get there. Mental issues such as low self-esteem and depression can arise once a person becomes dependent on cosmetics. Remember everyone doesn’t look like Barbie, especially since she’s not real! They say beauty is pain but just how much pain are you willing to endure? Will knowing how dangerous cosmetics can be cause you to be more cautious? Are defined eyes and full lips really worth the risk? Have you been affected by any of these risks? If so we’d love to hear from you!